I really enjoyed this, but it's absolutely bonkers. Not my favorite of Sarah Treem's work. 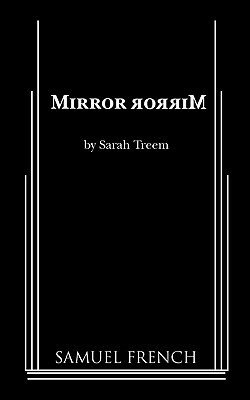 Still an creative story with a hint of the supernatural: a epidemic of mirrors who show you who you really are until you're honest with yourself. I really did not like it. Tries to tackle a lot of big topics, but does not commit fully to any, making it seem like the playwright it just checking off a list rather than cultivating a message. I almost went lower with this one, but I'm giving it the benefit of the doubt a production would provide. I'm willing to go with the heightened world, but it's not always clear if some of the didactic text is meant to fit into that world, a parody of sorts in its own right. I did enjoy the ending.